Bamboo and rattan have been identified as important commodities in the country. The processing of this – from raw material to finishing — employs thousands of people across the country. The cooperation was facilitated the International Bamboo and Rattan Organisation (INBAR), an independent, intergovernmental organisation that focuses on bilateral South-South cooperation and has over 44 members, 43 of which are in the global south. 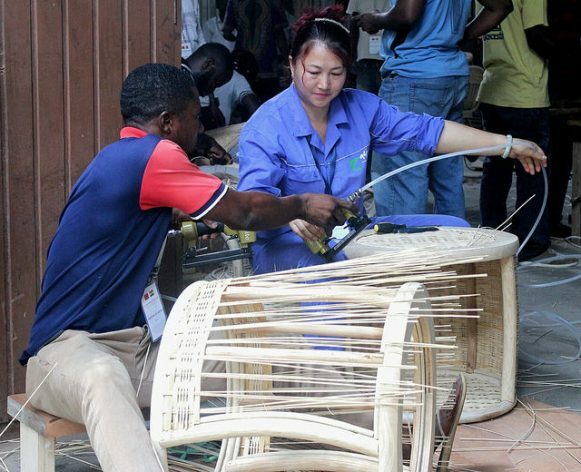 INBAR proceeded with a collaboration with the Bamboo and Rattan Development Programme (BARADEP), an initiative in Ghana’s Ministry of Lands and Natural Resources. And indeed the project has long-term goals that will benefit the artisans. Michael Kwaku, Country Director of INBAR Ghana, tells IPS bamboo and rattan are one of the fastest-growing species that have been identified in place of other sources of wood. He said that because of their fast rates of maturity, bamboo and rattan had enormous environmental benefits and could be used for restoration of degraded lands and in supporting afforestation. 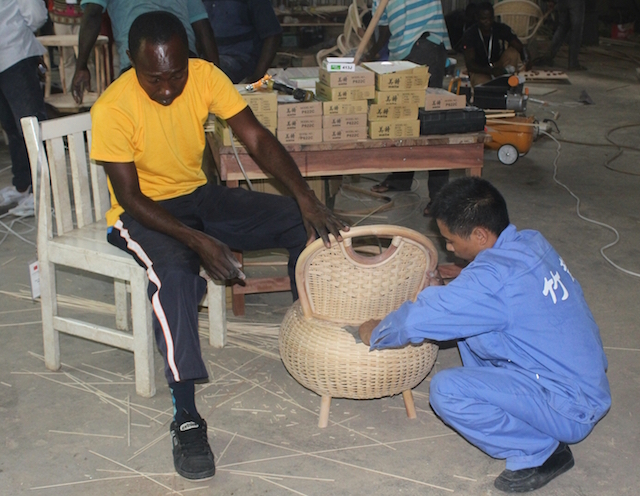 “INBAR Ghana office trained the artisans on the theoretical component through PowerPoint presentations to educate them on bamboo skills, technological gaps and the needs to enhance their capacities. We also facilitated and supported our key training partner the ICBR and the Chinese delegation in undertaking a pre- and post-training assessment and evaluation,” he said. Kwaku tells IPS that ultimately the overall objective is to establish a bamboo and rattan facility and training centre in Accra. This will be set up by the government of Ghana with funding from China.